Land of Maharajas – Rajasthan has landscapes varying from green rolling hills to barren deserts. The whole state is dotted with dramatic fortresses and the countryside is a patchwork of villages and towns where we see the timelessness of rural India. From the captivating the lakeside palace of Udaipur, Mehrangarh Fort at Jodhpur, the holy town of Pushkar and onto the superb 'pink city' of Jaipur, each place has its own story to tell. A fitting way to finish the trip is at the magnificent Taj Mahal. Cycling is the perfect way to explore, offering a fascinating insight into the traditional way of life here. Explore Land of Maharajas cycle holiday tour. 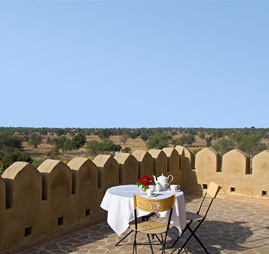 Rajasthan - An opportunity to stay in beautiful forts and palaces. Meet the locals as we cycle through timeless countryside Tribal villages. Mehrangarh fort - Largest fort of India, Pushkar - Brahma Temple & holy lake. An Indian cycling holiday tour from Delhi to Udaipur. Kumbalgarh - World's second largest continuous wall. The Taj Mahal is truly among the seven wonders of the world. Udaipur - City of Lakes, Mehrangarh fort - Largest forts of India. An Indian cycling holiday tour from Udaipur to Delhi. Udaipur - City of Lakes, Pushkar - Bhrama Temple and holy lake. 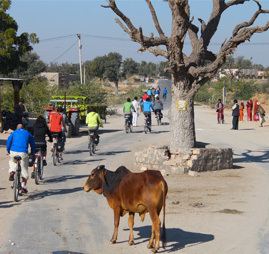 Meet the locals as we cycle through timeless Rajasthan Countryside villages. An Indian cycling holiday tour from Udaipur to Jodhpur. Meet the locals and explore the village life of Rajasthan. Udaipur - City of Lakes, Mehrangarh fort - Largest fort of India. An Indian cycling holiday tour from Delhi to Jaipur. Explore the village life and culture of Rajasthan. Bharatpur - The finest sanctuary with over 360 species of birds. 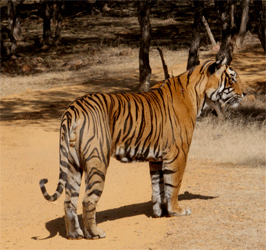 Ranthambhore - India's most prestigious Tiger wildlife sanctuary. Jaisalmer - An Oasis in the Heart of Golden City. An Indian cycling holiday tour from Jaisalmer to Agra. Mehrangarh fort - The largest fort of India, Pushkar - Holy Ghats. Jaipur - Known as Pink City, Agra - Taj Mahal a monument of Love. An Indian cycling holiday tour from Agra to Jaipur. 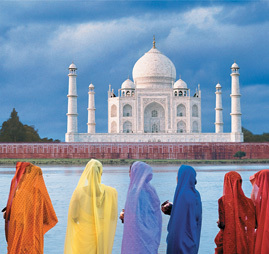 Visit Agra with its magnificent Taj Mahal and Red Fort. 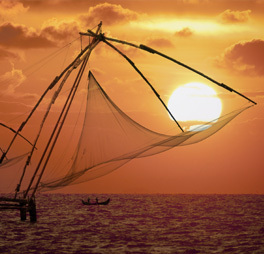 Explore the diverse Indian Culture with India's prominent destinations. Visit villages & interact with local peoples and explore their daily activities.